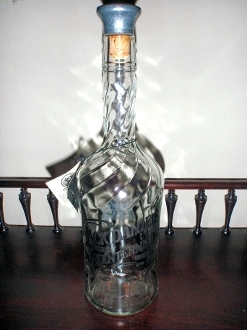 Jack Daniels Bicentennial Whiskey back bar bottle with gold & black letters. Nice swirl ribbing. Original stopper & hang tag. No chips or cracks. Great for the Jack Daniels collector.